Each week, Your News to Know brings you a weekly roundup of the top news stories from the gold market. Stories include: Gold favored as Fed might have to backtrack, why rate hikes may be good for gold, and gold jewelry is getting more expensive. The Federal Reserve is in a difficult position: Should they go through with their stated intention to increase interest rates in the coming months, they may cause economic growth to slow down and spur additional volatility. 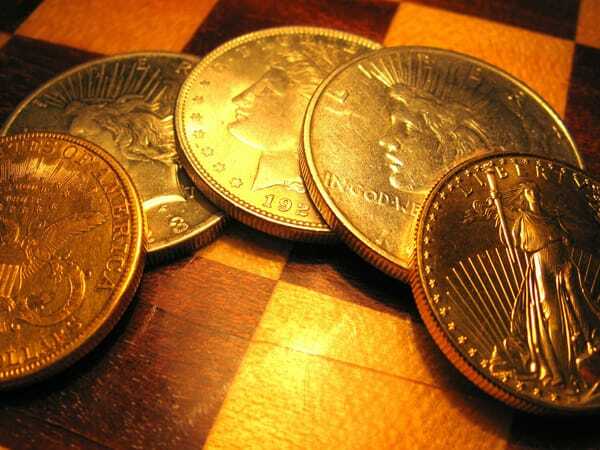 As a result, Americans will likely lose faith in the U.S. dollar and, in turn, move into gold. In fact, the Fed’s indecisiveness has already paved the way for gold to rally 18% since the start of the year, making it one of 2016’s best-performing assets. Yet according to Emirates NBD PJSC, the largest lending firm in the United Arab Emirates, there are more upswings for gold on the horizon. As seen on Bloomberg, the firm recently advised clients to hold up to 10% of their portfolio in gold and to stock up on the metal during dips. Furthermore, Emirates NBD forecasts that gold might rise to $1,400 per ounce in the near term and reach $1,800 by the end of 2017. Gary Dugan, the firm’s chief investment officer for wealth management, explained how a premature rates rise by the Fed would be a mistake and likely followed by a cut. And while many market watches have criticized the overall inefficiency of central banks, Dugan warned that giving up on central banks will lead to a “loss of hope”. Is gold about to defy conventional wisdom by benefiting from rate hikes? Conventional thinking often holds that increases in interest rates would be bad for gold; since the metal began to rally early this year, it has experienced a few bumps on the road largely due to hawkish statements from the Fed. But what if additional hikes actually benefited gold? To further support his faith in gold’s prosperity amid rate hikes, Garber also quoted Julian Jessop, head of commodities research at Capital Economics. In a recent note to clients, Jessop predicted a total of two rate hikes in 2016 while outlining why hikes won’t detriment gold. “The conventional wisdom, of course, is that Fed tightening is bad for gold, mainly because higher US rates can strengthen the dollar and increase the opportunity cost of holding commodities. Prices have indeed faltered this week in the wake of the hawkish FOMC minutes. However, there is surely more to say than this; after all, gold and silver prices actually rallied in the weeks and months after the Fed first raised rates last December,” Jessop said. Jessop believes that gold’s current rally is multi-layered. Initially, fears of a slowdown in the global economy are what led investors to flock to the metal’s safety, but as things progressed, the metal continued to rally thanks to persistent weakness in the dollar and renewed interest in inflation hedges. Jessop’s forecast, which includes additional hikes, sees gold reaching $1,350 per ounce by the end of 2016. “The upshot is that gold can still rally especially if US wage and price pressures continue to build. Indeed, even our forecasts assume that the Fed will continue raising rates only gradually and to a still-low level by past standards, which may fuel concerns that it is falling behind the curve on inflation,” he added. As seen on CNN Money, the gold market is experiencing something of a dichotomy: While bullion sales are reaching record levels, the resulting price increase is causing jewelers to struggle. Falling oil prices, stock market volatility and fears over the global economy have pushed gold into a bull market and made investors worldwide clamor to get their share of the safe-haven asset. As a result, many jewelers have had no choice but to increase the price tags on their gold rings, watches and similar items. And while the top gold buying nations continue to stockpile the yellow metal, their jewelry industries have fallen on hard times. For example, jewelry demand in China and Russia fell by 17% each, Saudi Arabia saw a 12% drop in jewelry buying and India’s massive jewelry market dropped by 41% in the first quarter of 2016, aided in good part by the country’s recently-imposed tax on jewelers. U.S. debt is being dumped at an alarmingly high rate by other nations around the world. Will the American economy be able to keep up? Find out here.